London, England – April 7, 2016 –- Oninit, a Four Js value added reseller and service provider, recently announced the successful refresh of Target Furniture UK’s core business systems with Genero. Target had relied for too long on a bespoke order processing and production control system for manufacturing workflow, invoicing, sales and distribution. The system’s infrastructure was no longer being supported and its future reliability was becoming a serious liability. If Target were to survive and grow, the system needed to move with the times, which meant a thorough overhaul. As with most core business systems, simply “ripping and replacing” was not considered a viable option. That would be too much effort, too much cost, too much time and too much risk. But they needed to modernise what they had. Immediately. The environment they were using was tired and outdated. 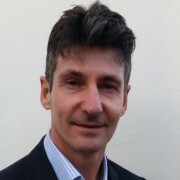 It was Oninit’s job to find a modern development framework that would: build forms; incorporate bespoke business logic from a complex legacy software stack; author reports; integrate report generation with an email system and support a variety of deployment environments including desktop, web and mobile. And Genero provided everything they needed; a slick development interface to develop, test and deploy small application components very quickly. This let them redevelop old Microsoft Visual Basic® look-up forms in a matter of hours. There was a complex stack of business logic written in ‘C’ that was rewritten too. But Genero was not their first choice. Oninit’s first reaction was to go with Java. It wanted to deploy a few core components on both MS Windows® and UNIX® environments and thought that would be the best solution. It also wanted to integrate some basic reporting using JasperReports® too. The first prototype program developed was a replacement for a sales look-up screen. That Java development took more than a week. At that rate, the estimated time required to roll-out all of the other replacement forms would have been more than 12 months. That was unacceptable – the cost would have been prohibitively high for Target. That first prototype in Genero took Oninit less than half a day. Genero enabled Oninit to greatly improve the speed and ease of application navigation – for desktop, web and mobile – in one simple development cycle. That’s what they liked the most – Genero’s “write-once, deploy-anywhere” approach. Without it, the development effort would have been multiplied by many times – it would have had to develop afresh every time it needed to deploy in a new environment – with the customer ultimately paying! Target Furniture has a long established reputation for providing a comprehensive range of high quality goods and services to the contract furniture market. A flexible and highly skilled manufacturing facility enables the production of most types of timber furniture for the hospitality sector. In recognition of the importance of providing a complete service to the customer, this flexibility also extends to include the practical production of bespoke products, generally without quantity restriction. Target was established in 1977. Based in Northampton, England, it now operates out of two factories with a combined operating area in excess of 9,000 m2. The vast majority of both production and administrative personnel boast long service records, which reflects in the continuity of product quality, and the pride needed for outstanding customer satisfaction. Its own transport team and vehicle fleet ensures a level of care and punctuality, which are essential to its market position. Its business has evolved in recent years to recognise new market demands. The ability to produce what the customer wants, and the increasing pressures on lead times are well served through a combination of flexible in-house design and manufacturing, and a profound knowledge of sourcing in the wider European furniture market. Oninit Consulting Ltd is an IBM Premier Business Partner and the leading IBM database consulting firm in the UK with a dedicated technical support team and extensive professional services capability. They provide expertise on high-performance enterprise database systems. Oninit was founded in 1999 and has delivered software and service solutions to more than 150 customers in EMEA and US. Many of these companies are household names in the retail, media and finance sectors. They are a partner-centric organization and have links to many of the leading development and system integration companies in the UK, US and Germany.